Remember how I said, after the first episode, JT was to be the fool archetype and then immediately retracted that statement the next post? Well, I should have stuck with my gut. While JT is a game changer and while his victory in Tocantins is debatably one of the greatest performances of all-time, he sent Malcolm home, he let Varner do a whole string of challenges he had no place doing, he started a feud over sugar (if the edit is to be purely believed), and he went home with an idol in his pocket… except he didn’t even bring it to Tribal. The fool, indeed. At least I don’t have to keep calling him the next boot. 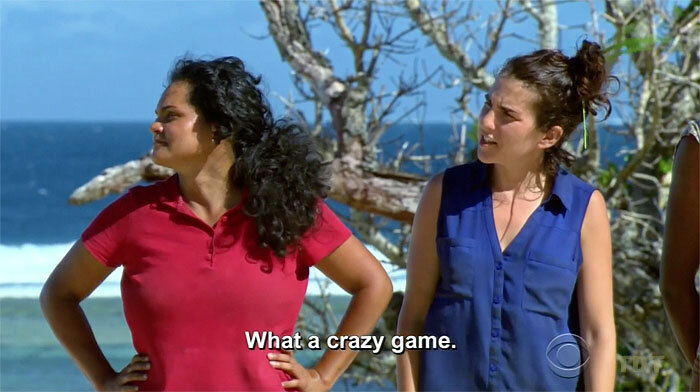 If there was any doubt about Sandra’s ability to play Survivor (and I’ll be the first to admit I thought she was vastly overrated), I think this season puts those doubts to rest. Tony never stood a chance against her, and while it may not have mattered, her manipulation of foolish JT and his beloved sugar was gold. I worry, however, Sandra’s reign will be threatened next week. While her Tribal stats are astonishing and impressive, she’s never before faced a swap where she’s on the wrong side of the numbers. 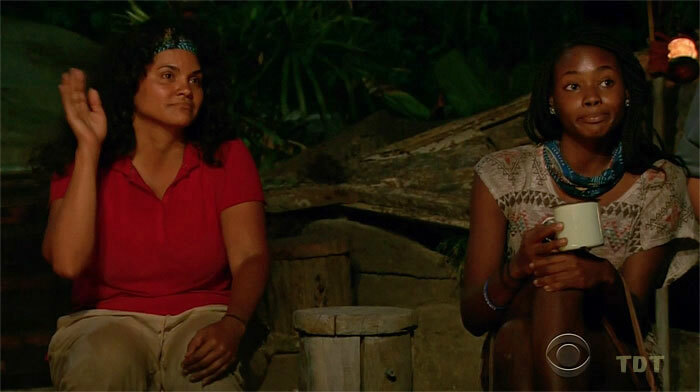 Should she end up on a weak tribe without Michaela and Varner (and even then, she’d need a Troyzan and/or Hali to really have a cushion), I could see a lot of players thinking her throne looks mighty fine. My hope is ever-increasing that she can cruise to the Merge (and beyond), but I’ve said it before…Survivor likes to off monarchs. This episode, much to my swooning despite a nasty bout of food poisoning/stomach virus, we saw a new potential queen rise: Sarah. 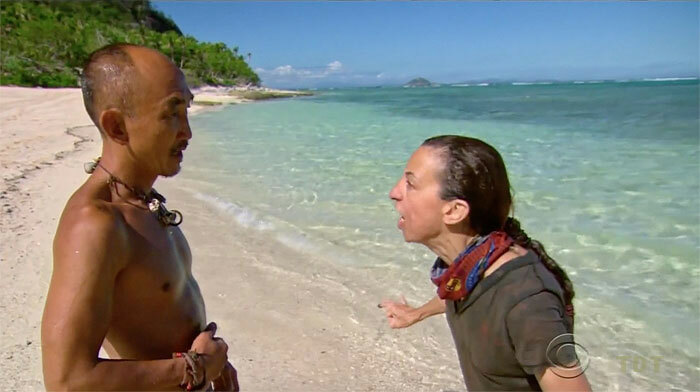 Yes, her part in the episode was quite minimal, but given how Tavua didn’t go to Tribal, why show a Sarah and Troyzan connection? For that matter, why show Sarah at all given as she remains one of five players who haven’t even been to Tribal? Why let her talk about being a police officer and how that gives her the chops to lie? Much as Brad was given a small window to talk about interior design a few weeks ago, we were given a snapshot into Sarah’s life. While it lacked the positive-spin of Culpepper decorating or the wonderfully emotional response of Troyzan finding an idol or even the honest-glee of Zeke playing with some of his favorites from the show, it showed one thing: hey viewers, this gal is here and she’s here to play. Could this be my first correct preseason winner pick since Gabon (and I’ll never know how I managed to guess that one)? Let’s hope so. Another person who continues to baffle me as player, but who definitely got a positive edit this week, was Michaela. For someone so self-aware that her social game is her weakness, she continues to show a certain level of arrogance in challenges (slamming bags down next to her tribe after she dug them up) and an all-around disdain for having to deal with people she isn’t a fan of. Simultaneously, however, she’s able to sit at Tribal, calm as could be and lie through her teeth in order to make JT feel secure that he’s staying and she’s going. She’s an utter paradox to me, and while I think her lacking social game (sometimes) makes her just shy of a truly great player, Michaela is treat to have on the show. I’m too pleased she was cast, too pleased she was brought back, and too pleased she continues to grace us with her presence. Can she win? I don’t think so, but maybe in a few years after taking notes from a few of her fellow cast members…who knows? The antihero might drop the anti. I still don’t like or even believe I’m doing this, but… Culpepper was shown to handle Debbie simply perfectly. I’m not even sure the man has a confessional this week (which is curious considering how much heat he was under), but the shot of Debbie in the Immunity Challenge asking Brad if he noticed she was the first over the wall-thing really captured the game this man is playing. Instead of snapping at an utterly sophomoric cry for attention, he merely vaguely validated her and claimed he didn’t know why she was angry with him. Think about being out there for over two weeks and having to deal with that level of immaturity in the middle of a challenge…and to keep that level of a head? Bravo, Brad. You are changing your game, and while I may not like you, I must respect the effort. Because, At Some Point, Maybe There Should Be a Limit? I always go back and forth on this one, but jeez there’s been a lot of idols this season. So far: Troyzan has one in his pocket, Tai found one and played one, JT found one and left it at camp, and Tai found a clue for another. Four episodes and ostensibly four idols. Although I’m stoked for the pandemonium that is sure to ensue, production might want to cool it with the idols. If Troyzan and Tai hang onto theirs for a while, that’s one thing, but if we get to the point where idols are getting played basically every Tribal…? I don’t know. I like idols, but I also miss the stone-age of Survivor at times where votes were all that mattered. Still, I can’t help but wonder what some seasons like Palau and Borneo would have been like with hidden idols. Would the Hatch-batch still have waltzed to the final four? Would Stephenie have had another Tribal Council or two after coming to the well-established Koror tribe? Who is to say? 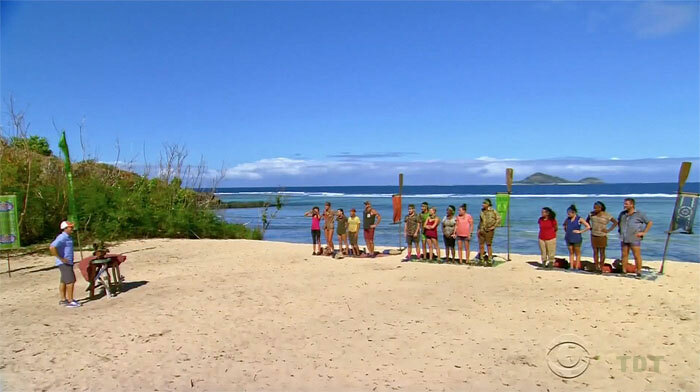 Final thought here, while JT’s clue being exactly like Tai’s makes me feel a little better about production not artificially planting the Malcolm-slaying idol, isn’t it a little convenient the alpha-male-type player Probst fawns over who is out-numbered four to one finds it? Just think about it. Regardless, let’s just be thankful Caleb didn’t idol somebody out. Even if that someone could have been Sierra…Caleb’s gone. I know with this season looking somewhat bleak we need to hold on to positives such as that. 1. Protect myself and my allies. 2. Do what I can to keep goats. 3. Take out the big names and threats. Strangely enough, those who fall in the second category (people such as Debbie and potentially Hali and Tai, too) are the safest. Why boot them? Sure, Debbie might be kooky, Tai untrustworthy, and Hali bland, but do they really threaten some of the big dogs out there? Only as numbers. Now an unfortunate product of seeing four big names go home in five votes…the other big names are all the more exposed. Sandra, Ozzy, Cirie, and even Culpepper and Aubry are all in extreme danger, changing the game for all but Aubry in that way. 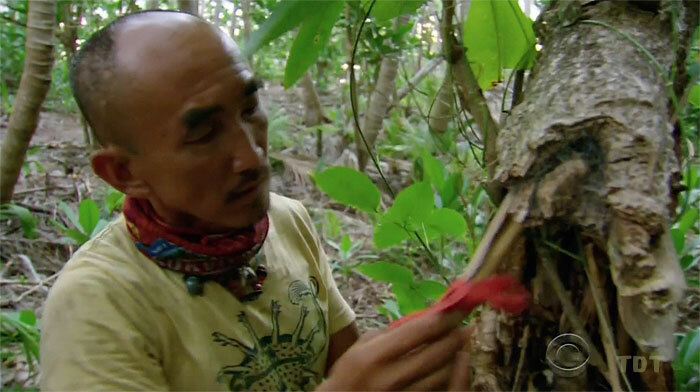 Their lives hang on a draw of a rock and winning immunity. Sadly, I think it’s one of these five who gets the boot this week, and yes, I’d even be a little bitter to see Brad go. He’s no Malcolm, but if he has to be a placeholder, I could think of worse. Heroes: Cirie, Tina, T-Bird, Stephenie, Kim Spradlin, Denise Stapley, Michaela, Wentworth, Ozzy, Tom Westman, Rupert, Yul, Malcolm, Jeremy, Adam Klein, and Mike Holloway. Villains: Parv, Jerri, Natalie Bolton, Sandra, Abi, Natalie Anderson, Kass, Ciera, Boston Rob, Fairplay, Cesternino, Shane Powers, Tony, Rodney, Tyson, and Pete (why…?). Now, at least for me, imagine ditching Rupert and Adam for Earl or Terry and Zeke or even Joey-Amazing and then losing Abi, Rodney, and Pete for Dawn (because if Natalie A. is a villain, so is Dawn) and some combination of Hatch, Brian Heidik, and Hantz (I guess we could ditch Shane if we had to)? Call it an even fifty days, thirty-two people, and one helluvuh season. I don’t know what I’m going for here…but come on. Imagine that season. That is Survivor: Legends right there. Finally, to the boot pick this week: like I said, Sandra, Ozzy, Cirie, Culpepper, or Aubry will likely get the axe, I think. 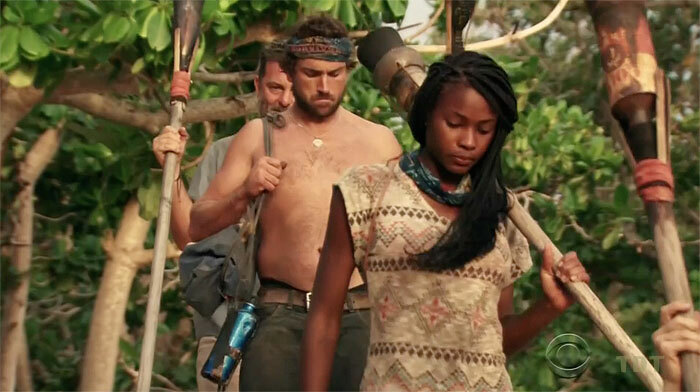 Culpepper, however, seems like a late-gamer, and Cirie had too much of “rise from the ashes” edit in the first episode to go home at her first Tribal. Aubry hasn’t been getting much screen time, and I’m tempted to go with the Kaoh Rong­-star, but I’m going to go with my gut… the queen is getting dethroned.